What a stylish and comfortable way to sit! 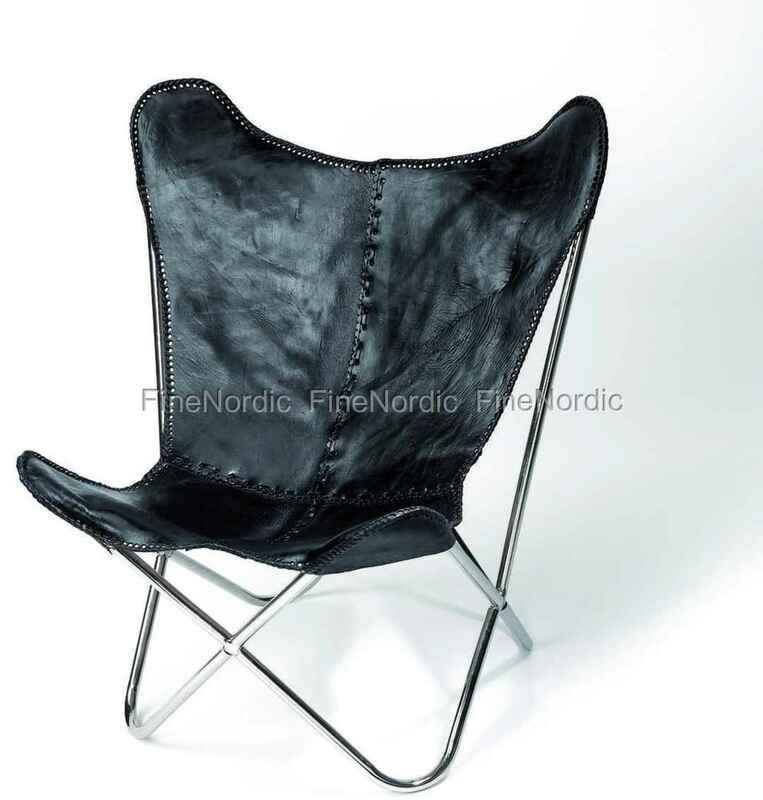 The attractive Butterfly Leather Chair from Nordal surely makes a statement in the room. The black leather seat with its coarse stitches draws one’s attention right away. It is a unique piece of leather and no two chairs look alike. That is exactly that, what makes this chair so special. It is partly handmade, which means slight irregularities and variations in color, finishes and size may occur and are all part of the chair’s unique look. The Nordal chair is also available in brown leather in our web shop.